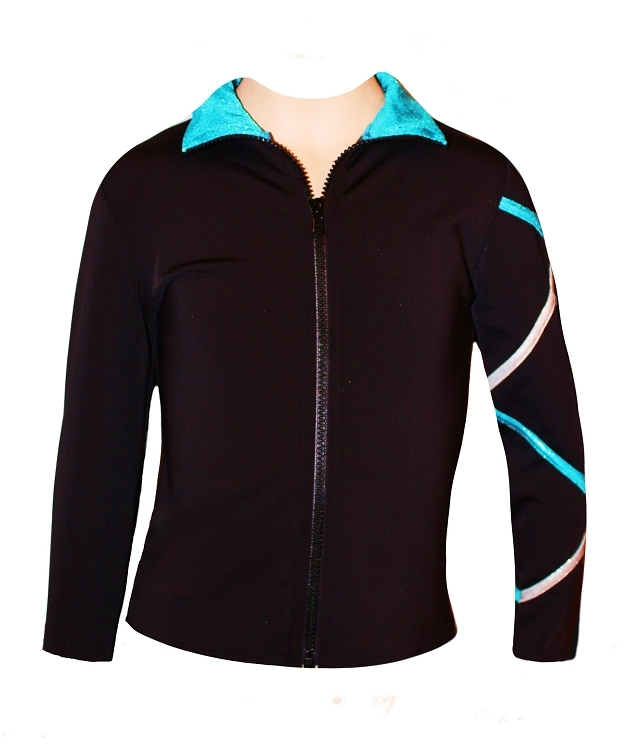 Silver/Turquoise Criss Cross Poly/Spandex ice skating jacket. High performance brushed poly spandex fabric offering soft to touch inner surface and quick drying spandex outer side. 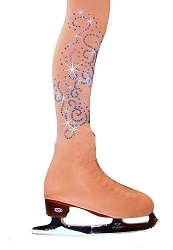 Fitted style without the hood provide comfort and freedom of movements during the ice skating practice. 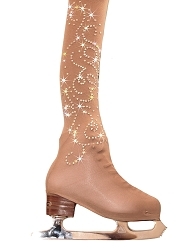 Warm and stretchy, functional and stylish - this ice skating jacket will be look great separately or as a part of ice skating outfit with ice skating pants. Available in Child Small, Child Medium, Child Large, Adult X Small sizes.